Design is not a dirty word! I think that outside of the design-community, sometimes the word “design“ has a bad reputation. Put ‘designer’ (or ‘customised’) in front of anything – clothes, -cars, -homes, etc… and the immediate associations can be expensive, elitist, egotistical, expensive, unrealistic, impractical, ahem….wanky, luxury, and oh, did I mention expensive?! I admit that in some cases, this can be true (did you see the ‘shoes’ recently designed by world-famous Architect, Zaha Hadid?). Futuristic, revolutionary, stunning sculptural forms; yes, but not really wearable footwear. 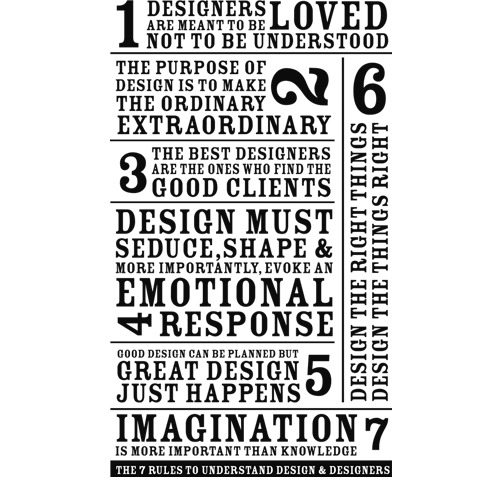 An iconic cultural statement, designed for the sake of design, produced for other designers. These types of designs too have their place, but they don’t help with stopping the flow of negative connotations. Architectural Design is the collaborative process of finding design solutions which answer complex questions with regards to the built-environment. In my world, after working with the client to establish a brief and assessing opportunities and constraints of the project, design is the process of finding a site-specific, individual solution which best meets the requirements and vision of the client. We ask who, what, where and why. Design is a juggling act of budget, construction techniques, material selections, building regulations, town-planning requirements, energy-efficiency considerations and sustainability, heritage and cultural context, neighbours and community relations, form and function, comfort, practicality, convenience, flexibility, connection with the external environment and landscape, light and shade, beauty and delight… plus more! Architectural design is not just “drawing a plan”. This is the true value of Architects, as we are (by nature and training) problem-solvers. We excel at seeing the big picture and incorporating all the elements of the puzzle, and communicate how to piece them altogether. However, I don’t profess to have all the answers and to tell my clients what they need, rather my value lies in my ability to listen to each client, and find out what they want to achieve and how we can do that together – it is a collaborative process. An Architect once told me that every $1 spent on the design stage, saves $1000 at the construction stage of a project….meaning that failing to plan is planning to fail. Master Architect Frank Lloyd Wright once said “You can use an eraser on the drafting table or a sledge-hammer on the construction site”! If you invest in services from a qualified registered Architect at the start of your project, then you can actually save money by avoiding costly mistakes later. This is especially the case with energy-efficient design considerations, in terms of correct orientation on the site and passive solar principles, which will make your home more energy-efficient, thereby lowering your running costs. 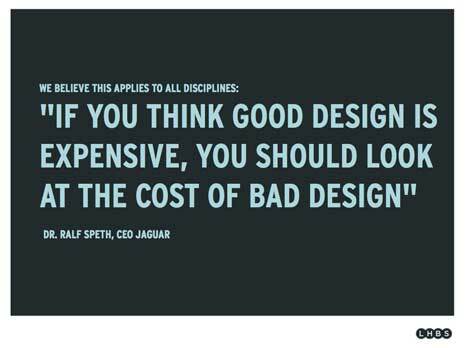 I’m interested to know, what does the word “design” mean to you? I’d love to hear your comments! This entry was posted in Architecture, Design, Uncategorized and tagged Architect, Ballarat, Ballarat Architect, Built environment, Green Architecture, Passive solar building design, Talina Edwards Architect, Talina Edwards Architecture on November 4, 2013 by talinaedwards. Great post Talina, strong and decisive voice on a really great topic! Love the Frank Lloyd Wright quote. Thanks Susan! Frank Lloyd Wright had some great quotes in his time – one of my favourites is “The doctor can bury his mistakes, but an architect can only advise his clients to plant vines”!